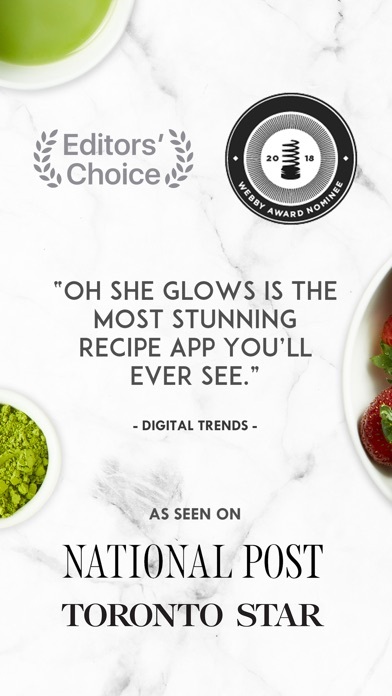 Brought to you by New York Times bestselling author Angela Liddon, The Oh She Glows Recipe App features the most popular fan-favorite plant-based recipes from the award-winning recipe blog, OhSheGlows.com, and stunning, vibrant food photography for every recipe. Angela has been creating healthy, veggie-packed recipes for almost 10 years, and she only shares recipes that are hits with her family, friends, and recipe testers, so you can be confident that the recipes in this collection will win over even the biggest skeptic. 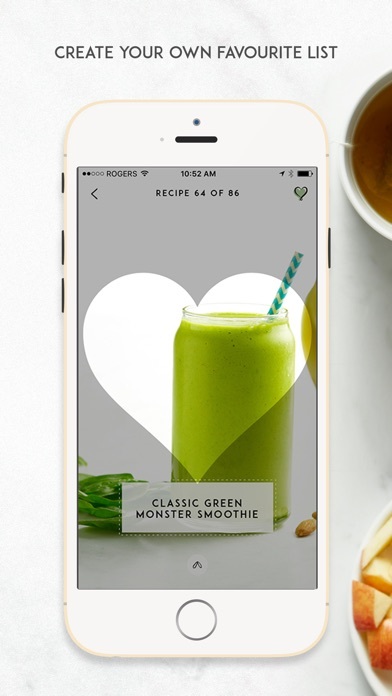 One thing is for sure, this healthy recipe app will have you glowing from the inside out and bursting with cooking inspiration! Enjoy over 140 mouth-watering plant-based recipes, including more than 120 gluten-free recipes. 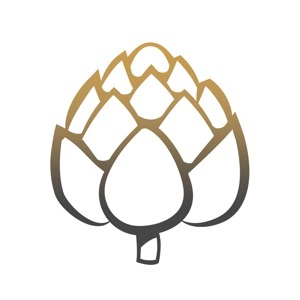 There are many exclusive app recipes not shared anywhere else. Be sure to unlock the free recipe bundles on the bundles page, including a delicious Cookie Lover's holiday bundle. 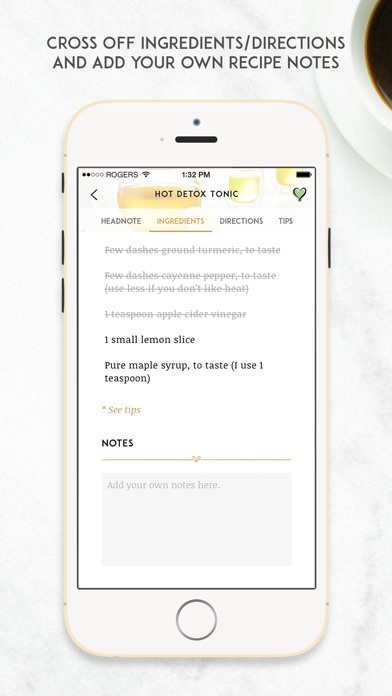 The Oh She Glows Recipe App will continually have new recipes added to it; each recipe that’s published on OhSheGlows.com will also be uploaded to the app so it will grow and grow. FEATURES: - Browse through beautiful full-screen high-resolution photography - Search for recipes with ease using ingredient keywords or by recipe title - Find detailed nutritional information available for each recipe located in the "tips" section - Filter your recipes based on dietary/allergy info, season, dish type, and more - Strikeout ingredients and directions as you cook so you don’t lose your place - Customize your own favorites list with your most-loved recipes - Add your own notes to the recipes if you make any changes - Take recipes with you on the go with convenient offline access - Cook without worry that your device will go to sleep with our anti-lock feature - Enjoy split view on your iOS 9+ iPad Air 2, iPad Mini 4, and iPad Pro - Synchronize favourites and notes between devices using iCloud - Browse recipe thumbnails by category (e.g., view all breakfast recipe titles and photos in one spot) We hope you enjoy cooking with the Oh She Glows - Healthy Plant-Based Recipes app. For any questions please feel free to email us at [email protected], and we are happy to help! From our kitchen to yours, The Liddon Family TESTIMONIALS: “This is the GO TO app for vegan friendly recipes!!! You don't even have to be vegan to enjoy them because each recipe is so full of flavor. 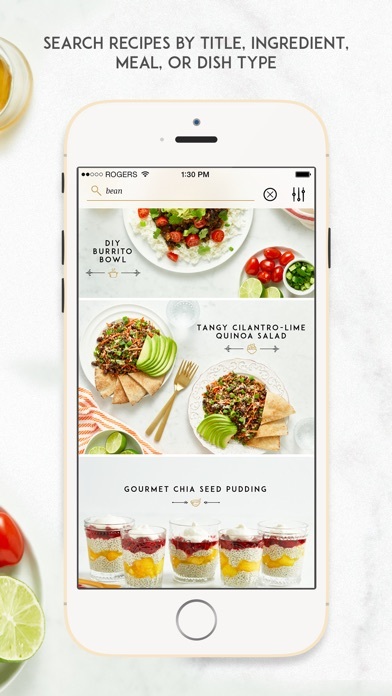 The app is perfectly laid out so you can make the recipes with ease. 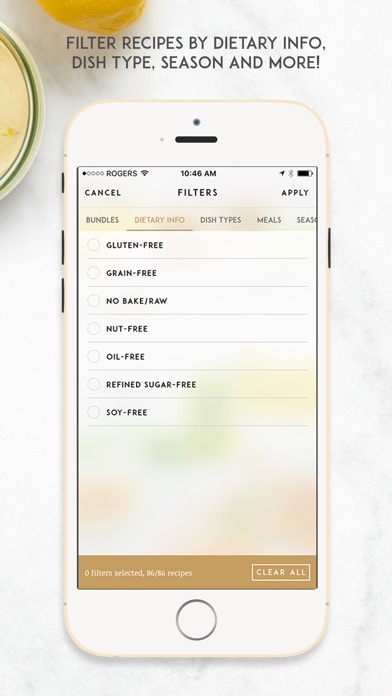 The search feature and the filters make it easy to make recipes with dietary concerns in mind or to use items you currently have on hand. Best recipe app ever!! !” ~ C.P. 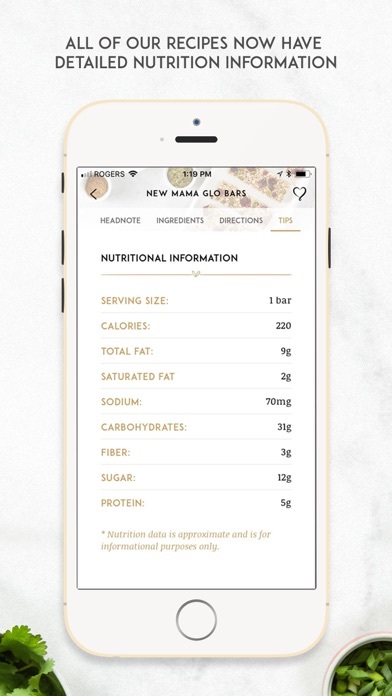 “This is everything I could ask for in a food app. Every recipe I have tried was absolutely delicious. The layout of the app is gorgeous and the features are on point. It is so easy to use and makes me want to cook! Thank you Oh She Glows for another amazing product!” ~ Sierra J. “I love love love this app. 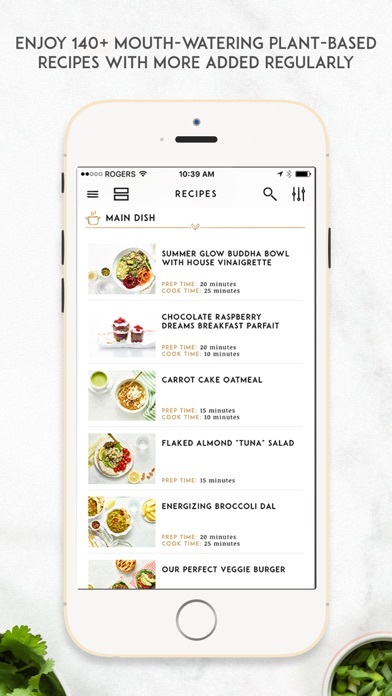 In my opinion it's the best recipe app out. It's easy to read and understand and the recipes are oh so good. The app makes me want to cook more. I highly recommend it.” ~ Jodie F.